Please join us for a book presentation by Adriana Trigiani at the Swinging Sixties Senior Center in Brooklyn, co-sponsored by the John D. Calandra Italian American Institute, in partnership with St. Nick’s Alliance. Part of the Michele Giannattasio Lecture Series. From the Jersey shore to Las Vegas to Hollywood, and all the dance halls in between, this multilayered story is vivid with historical color and steeped in the popular music that serves as its score. 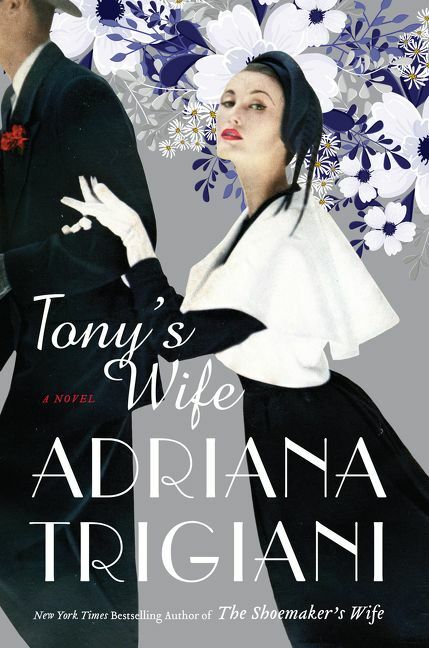 Tony’s Wife is a magnificent epic of life in a traditional Italian family undergoing seismic change in a fast-paced, modern world. Filled with sharply rendered, funny, and unforgettable characters, this richly human story showcases Adriana Trigiani’s gifts as a storyteller and her deep understanding of family, love, and the pursuit of the American dream.